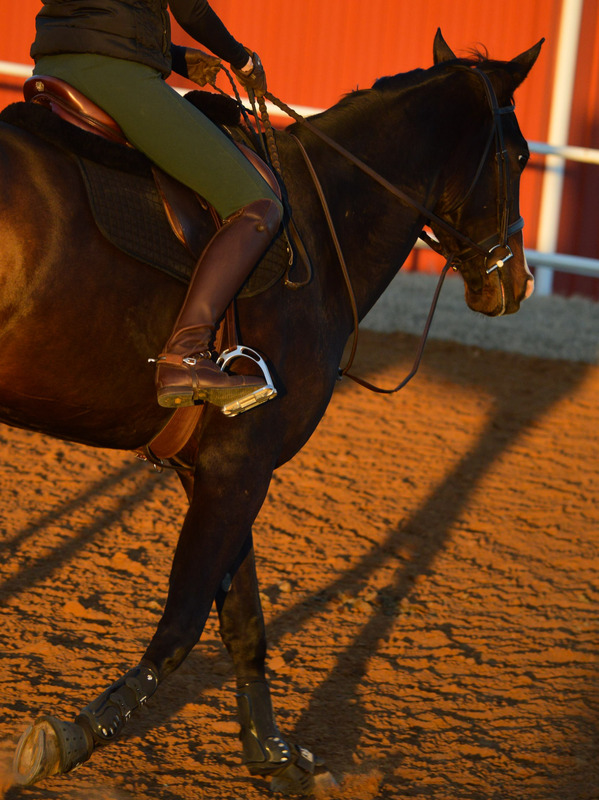 Several weeks ago I was trotting around in 2-point when I felt a release of pressure at my right heel. I looked down, and sure enough, the zipper had separated in the heel area. I tried to unzip and rezip it to realign the the “teeth”, but it was jacked up and did not want to go. I asked around my barn, and was sent to a place down the road. This shop said that the zipper didn’t need to be replaced, and they realigned it super fast and super cheap- $13. I was very pleased, and felt like that would be the end of my zipper problems for awhile. Alas, the zippers proved to me that after 2 years, they are actually at end of life, because the left boot zipper started separating a couple weeks later, and then the right came apart again. I was concerned about getting the entire zippers replaced at the same shop, as I have unfortunately seen some shoddy repairs from there, and have heard even more horror stories. 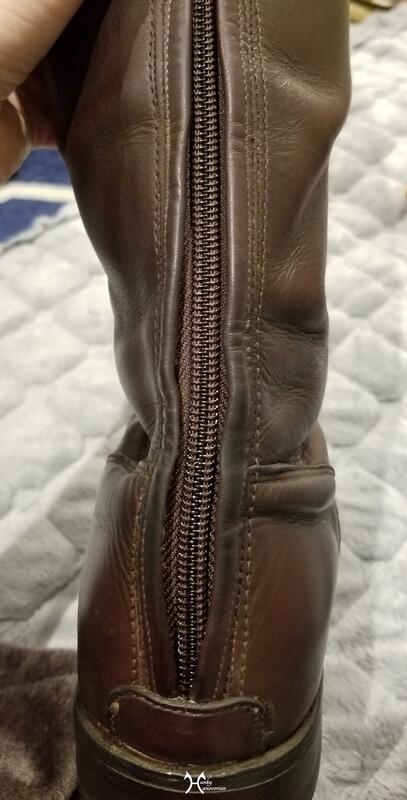 Due to my insane height, I cannot buy off the rack boots, therefore both my pairs of boots (practice and show boots) are semi custom, meaning they are pricier and take 8-10 weeks to make. 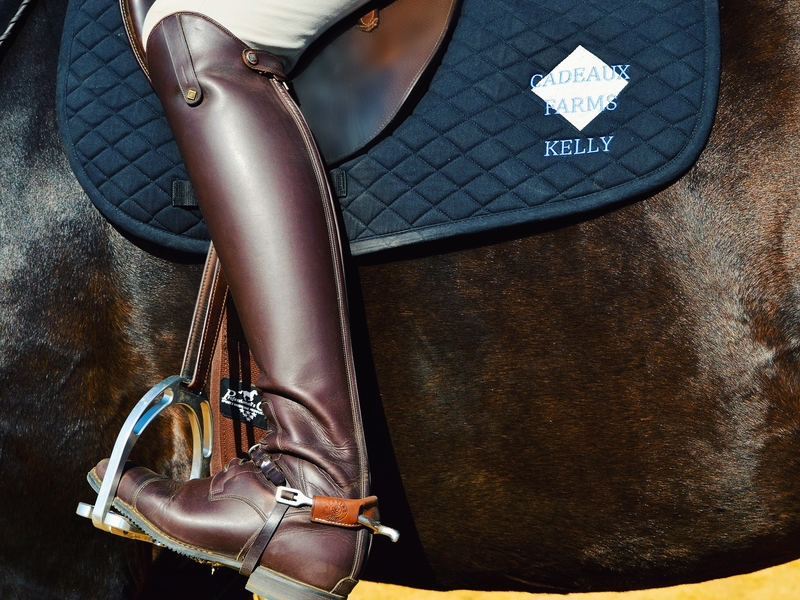 If you have read my DeNiro Boots Product Review, you will know how obsessed with these boots I am. Since I cannot easily replace them, I was super focused on finding a shoe repair shop that would do a decent job. Besides the zippers being worn, the boots themselves are still in excellent condition, and I hope to use them for many years to come. I started by contacting DeNiro directly. They told me that there are 2 repair shops in the US that they utilize, one in PA and one in FL. They also offered to send me replacement zippers, so that I could take them to a local shop if I chose to. Since the cost of shipping the boots would exponentially add to the cost of repairs, I accepted the offer of zippers. They shipped directly from Italy, and were on my doorstep in 5 days. They sent a brown pair AND a black pair of zippers, and the whole transaction was FREE. Yes, FREE. Talk about customer service! Note, my brown pair is 2 years old and my black pair is 3, so they are well outside the warranty period. I continue to be impressed with DeNiro as a company. 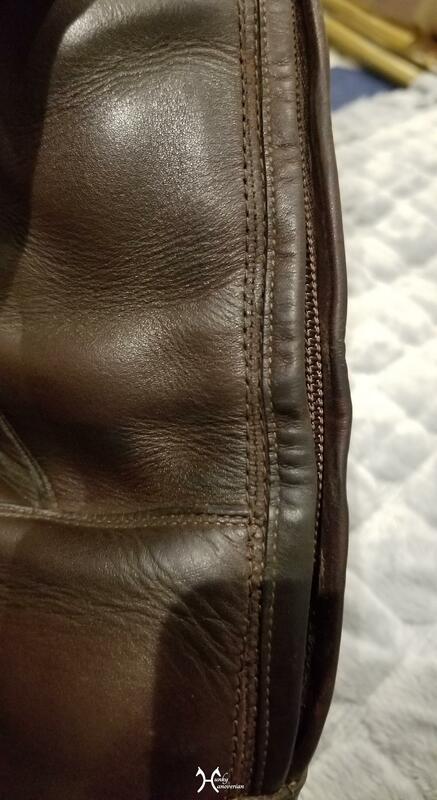 I started by taking the boots to a local shoe repair shop near my house, that I have used a couple times before for very small boot related repairs. The guys took the boots and started writing a pick-up ticket to give me with the pick-up date (a week later) before we even discussed the repairs. Essentially, I made him look me in the eyes, and said, “Can you do this job? Will it be a quality repair? How noticeable will the repair be? I really need a top notch repair so I need to know if this is something you can deliver.” He hummed and hawed a bit then handed the boots back to me. He recommended I go to another shop called Deno’s. He said he could do it, but that they could maybe do a better job, as the stitching would be difficult on his machine and it might be the quality I am looking for. I thanked him profusely for his honestly, and googled Deno’s as I left the shop. I headed there next, and explained how Roma’s had sent me. 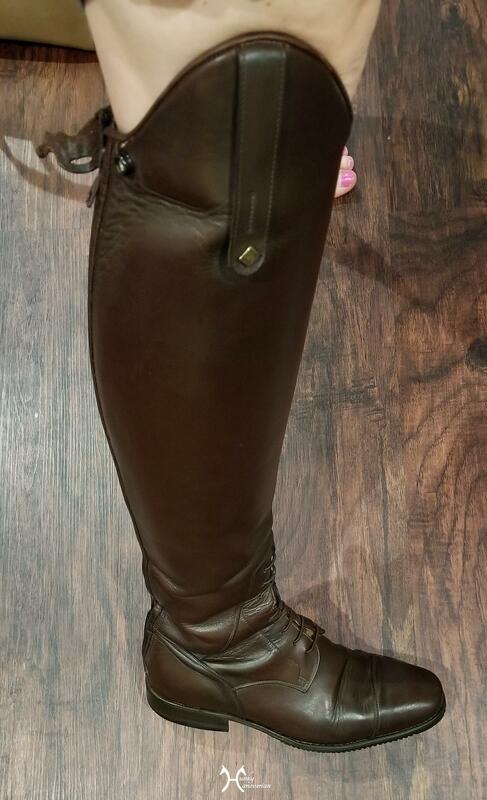 The man behind the counter was very thorough in looking at the boots and zippers. He then explained to me that I needed to go to the OTHER Deno’s locations- his cousin’s. I hadn’t realized their was 2 initially. He explained that they have a certain sewing machine that is better for this type of repair. He thought they would likely charge me more then the $80 he quoted me, but that the stitching would look neater. Again, I thanked him profusely and headed to shop #3. Deno’s in Highland Park Village is where I ended up taking the boots. They man seemed knowledgeable, thorough, and confident that they would do a quality repair. I gave him the zippers from DeNiro, and he quoted me 4 weeks. Yup, 4 weeks. I winced a bit, but figured a quality repair would be worth the repair time. 4 weeks later and… I got a text saying I could come pick them up. Full of anxiety, I headed to the shop. When the pulled them out from behind the counter, I almost cried with relief. They look PERFECT. You cannot even tell the zippers have been completely replaced. No joke. You CAN NOT TELL. I am ecstatic to say the least. They grand total was also only $80!!! I hope to get another 2 more years out of these zippers, and then who knows! Now that I know a fabulous shop to do repairs, I may have these boots for many many many years to come! For those not local to DFW- Deno’s at Highland Park Village takes mail-in repairs as well. 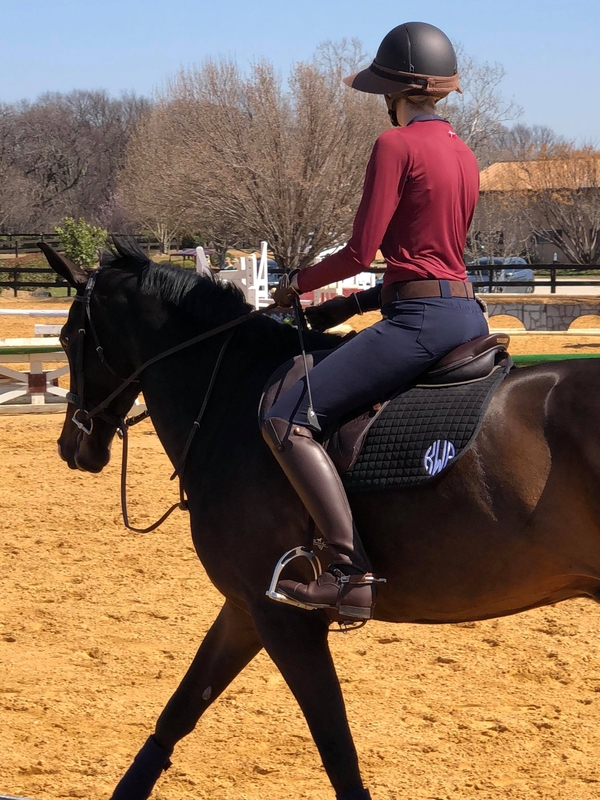 When I picked up my DeNiro’s, I saw some Petrie dressage boots on the counter with a note saying the zippers needed to be let out some. Also- they had polished my boots, and I noticed they had not polished the side of the boots that rests against the horse, so I am pretty sure this shop is no stranger to riding boots! Seriously, I cannot sing their praises enough! Anyone else have to have zippers repaired in the past? Were you happy or unhappy with the repair? What did the repair end up costing? My black DeNiros have this same problem — I have had the zipper pulls replaced, and one guy replaced a zipper pull with the most ugly thing I have ever seen. The boots themselves are in excellent condition, just not the zippers. This makes me think I should get the zippers from DeNiro and then mail the boots and the zippers to this Deno’s to see if the boots can be fixed. Sadly, for one zipper replacement, someone decided to put glue at the bottom of the zipper, which I had not noticed at pick-up. Gorgeous! You can’t tell they’ve been repaired at all. Wow this is incredible. They look so good! My hesitation with buying $$$ boots has always been being able to find a quality repair shop if anything were to happen. Glad you found one! That’s great work! It’s SO hard to find a good repair shop for boots. The one around here closed. I’ll make a note about Deno’s in case I need one in the future! Thanks for sharing!